A great many of these phenomena have their uses: thus, self-purification leads to the mineralisation, especially through the bacterial action of the mass of organic compounds, created by photosynthesis or generated by human activity, ensuring that elementary mineral nutrients are regenerated and re-injected into the vital cycles. Similarly, the biological water and wastewater treatments are applications that have been created as the result of Man's «domestication» of aquatic micro-organisms. Conversely, life forms found in water can have an adverse effect on Man or on the aquatic environment when they are there in excess (accelerated eutrophication phenomena). In the natural environment, micro-organisms can emit compounds that are difficult to remove and that endow the water with strong earthy, muddy or musty tastes... When these micro-organisms attack the walls of pipelines, they can lead to turbid and red water phenomena (iron bacteria). Finally, they can jeopardise consumer health through their very nature (pathogenic micro-organisms) or through their metabolites (algae toxins). We need to remember that ecology is the science that studies the mutual relationships between living organisms and their environment. 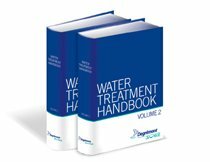 In his own way, the water treatment specialist is an ecologist: by applying appropriate UWW and IWW treatments, the water treatment specialist helps to protect the natural environment against the eutrophication and pollution phenomena, that are responsible for creating a significant proportion of these nuisances. 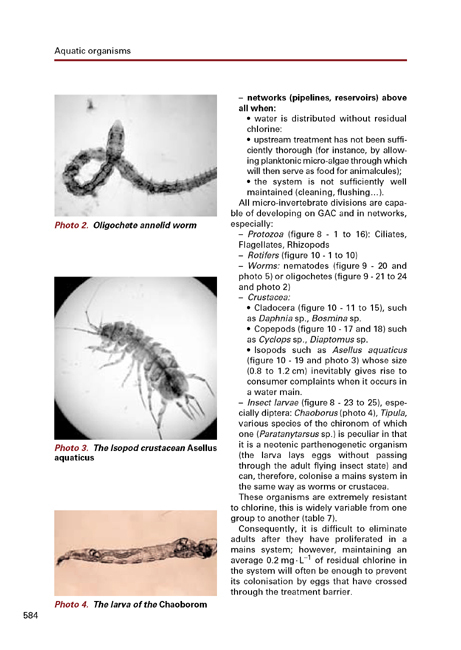 This chapter more specifically addresses the subject of freshwater biology; after a recap of the classification system normally adopted for these organisms, it details the main elements applicable to their presence and the role played by these organisms, and especially those that are responsible for waterborne disease or for UWW treatment; this chapter also provides a few simplified identification keys. However, despite these keys, the reader should still refer to specialist documentation for an accurate description.